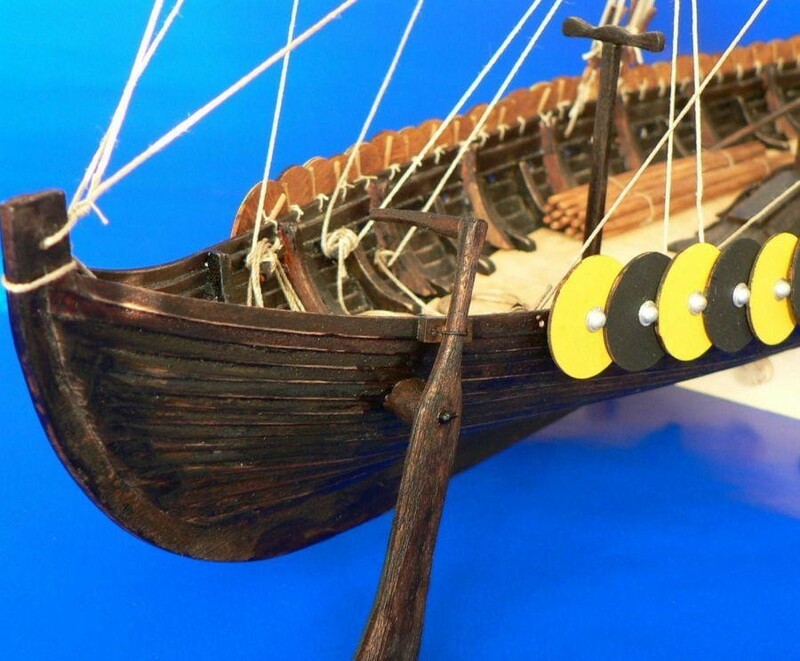 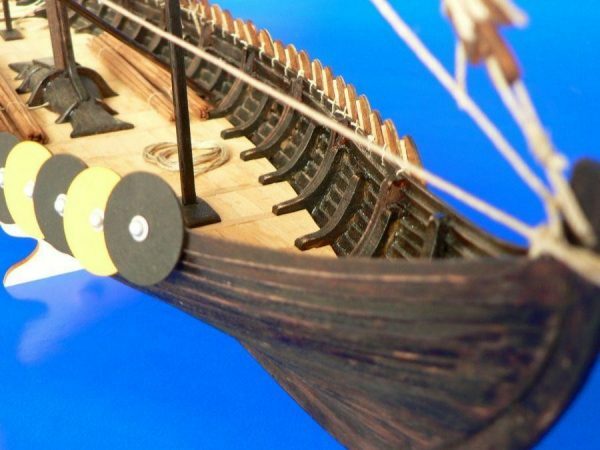 This model represents a Viking ship found in year 1880 near village Gokstad in Norway. 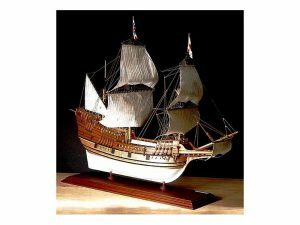 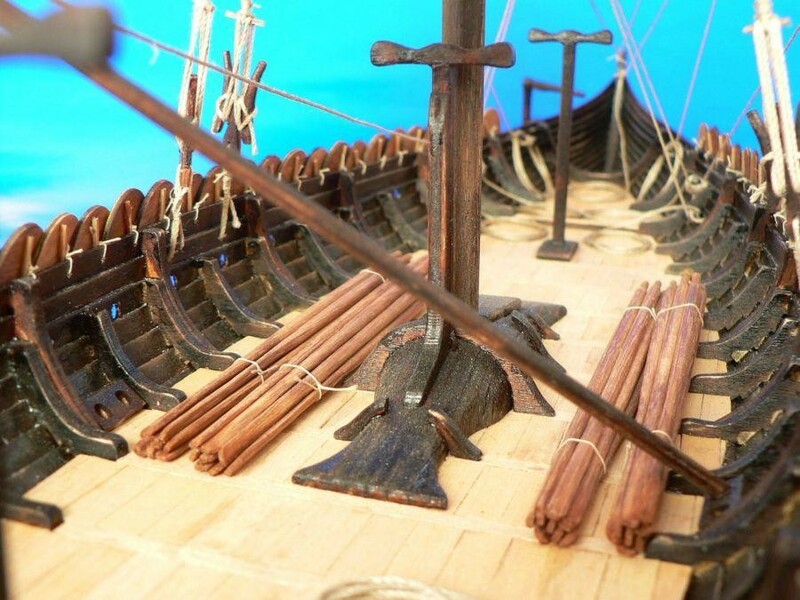 The ship was built in second half of ninth century. 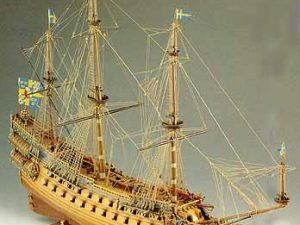 Excellent nautical ability of the ship was demonstrated in the year 1893 when a replica built by Magnus Anderson took a journey from Norway to USA. 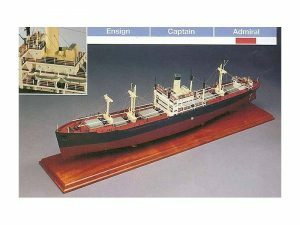 Total length of the ship was 24m. 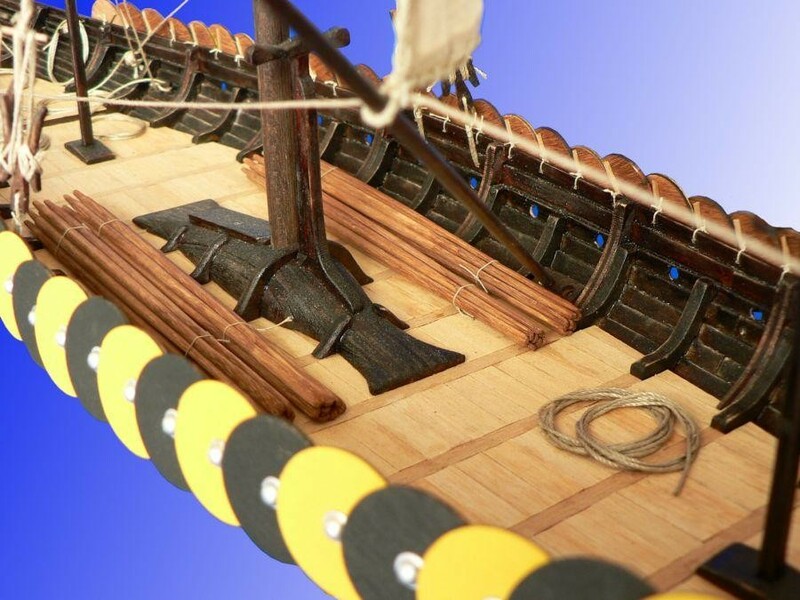 A keel and planks were made from oak wood. 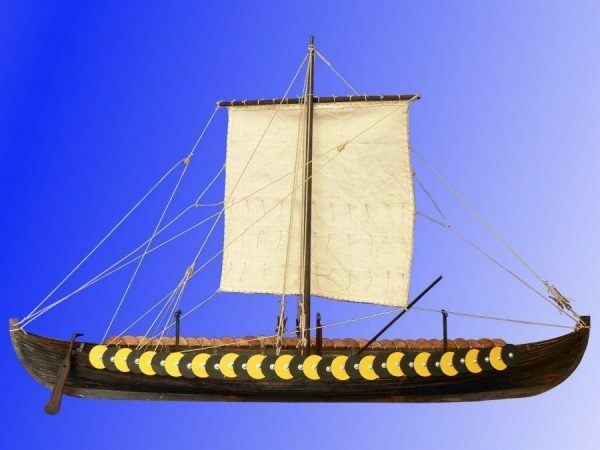 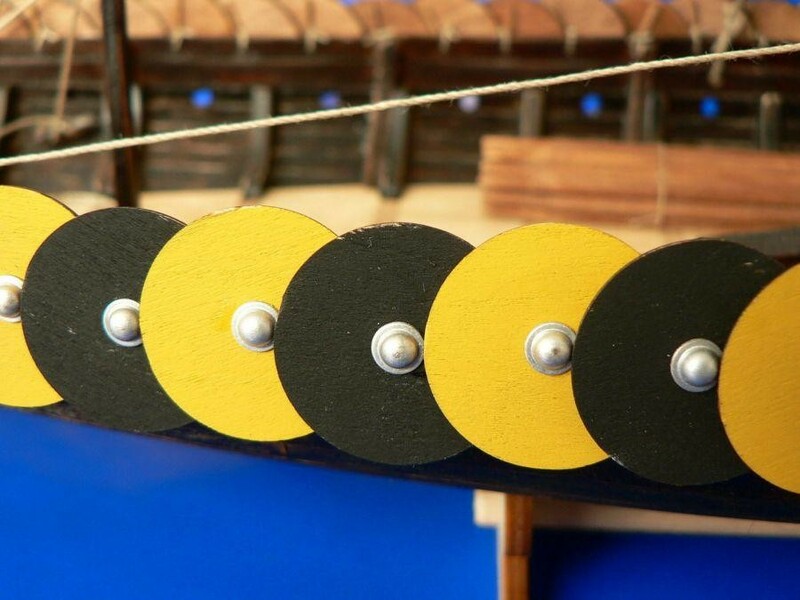 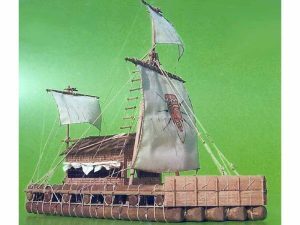 The ship was propelled by 32 oars and one rectangular sail.